Using the 2x setting in iPhone 7 Plus's Camera app doesn't always mean the telephoto lens will take the photo. When you use the built-in Camera app, the iPhone 7 Plus doesn’t act like it has two distinct cameras each with its own lens. Rather, it shows you a single virtual camera that combines input from two lenses. This is abundantly clear when you use the clever method (suggested by colleague Aurélien Chevaleyrias) of holding your finger over one lens or the other to see what’s really going on. It may surprise you! I performed a number of tests, some of which you can see in the slideshow below, in labeled comparisons. And I found that iOS makes a lot of decisions on your behalf to obtain the best-lit photo that has the least blurriness and the least sensor noise, rather than the highest resolution. In other words, it favors a good digitally zoomed image over an objectively bad picture, because the goal to is to give you a shot you like. It’s only when you blow the photo up (or look at it on a 4K monitor) that you’re revealing enough resolution to spot the difference. Let me repeat that: it’ll blow up pixels if they’re better than noisy ones. For serious photographers, I’ve just stabbed needles in your eyes. But this explains why Apple has made the mostly unfiltered sensor data available to camera and photo-editing app developers. Digital zoom will never be good enough for pros, and third-party apps will expose the raw data they want. 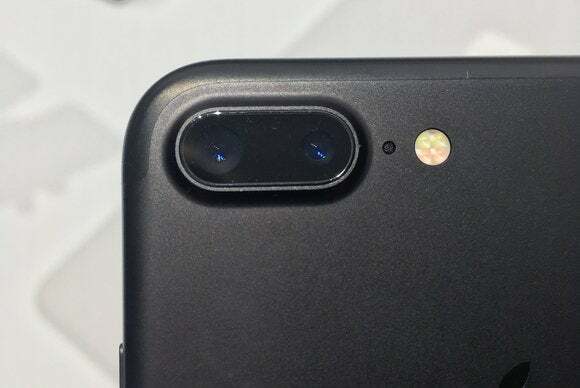 Apple described the iPhone 7 Plus’s camera system at length during the September 7 keynote address, but it barely scratched the surface. As I wrote at the time, there’s a lot more exploration to come from Apple and third parties with computational photography, which combines multiple exposures or lenses or both to produce synthesized images and video. Apple’s soft-focus-background (or “bokeh”) Portrait mode for iPhone 7 Plus, which just entered the beta stage as part of iOS 10.1, is just the first effect of this sort we’ll see. 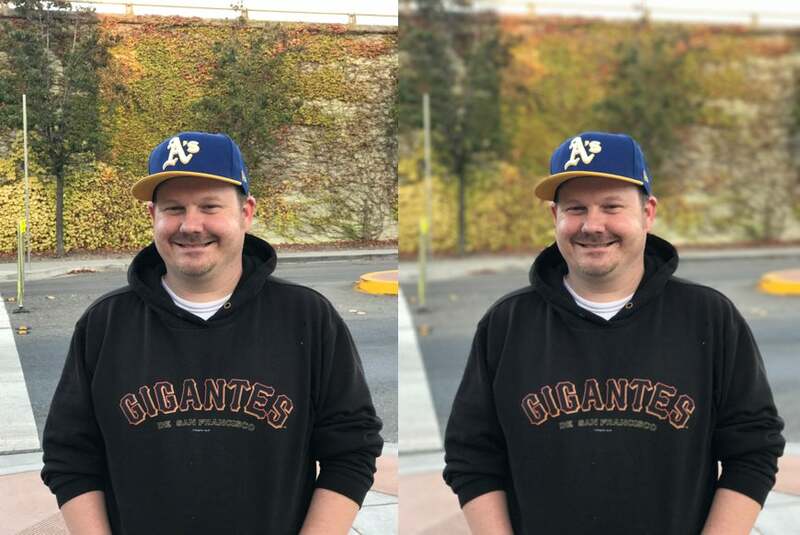 Portrait mode (seen here on the right) is in beta, but it automatically captures a “normal” image too (left), so you don’t lose out on any shots by experimenting with it. Click to enlarge. It was clear from the keynote demo and explanation that interpolations between 1x and 2x would involve some kind of computed mix of the two lenses, and above 2x would be a better but still obvious digital zoom. However, it wasn’t known until afterward that 1x and 2x don’t always precisely hew to the 4mm (28mm equivalent) and 6.6mm (56mm equivalent) lenses. Check out the results of my testing in the slideshow below. 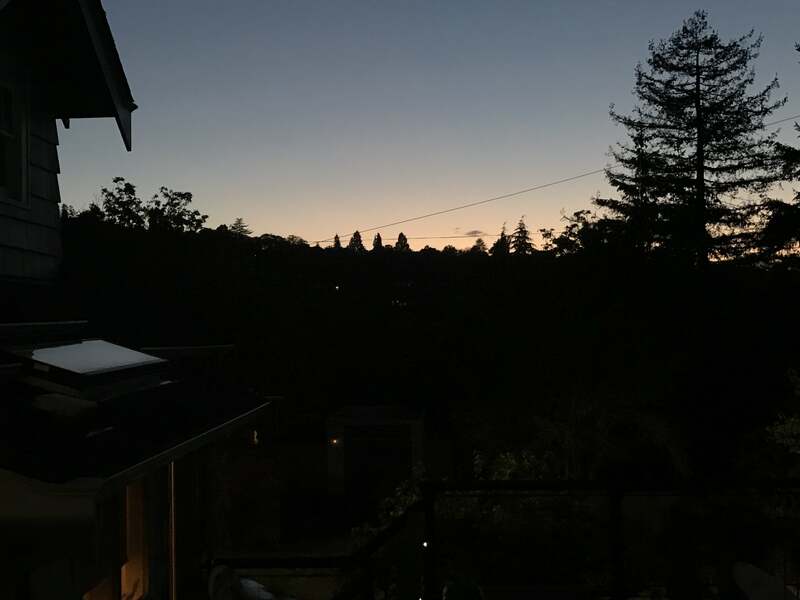 Click through the slideshow for comparisons between the iPhone 6s camera and the iPhone 7 Plus shooting at 1x and 2x. From examining EXIF data, it’s clear that the Camera app used the 4mm wide-angle lens with a 2x digital zoom, instead of the 6.6mm “telephoto” lens, pretty often. Every image from what the EXIF metdata calls the “iSight Duo” camera involves some set of choices. In good light for images more than a few feet away, 1x and 2x should correspond to the wide-angle and telephoto lenses. In every other set of conditions, some mix or swap is being used. Chevaleyrias’s finger-over-lens technique reveals a lot, coupled with examining the EXIF data in Photos or in other software that reveals the more detailed settings. For 1x photos, the wide-angle 4mm lens appears to be used without exception. I can’t find any case yet in which telephoto data is added in. For 2x photos in good lighting, the telephoto 6.6mm lens is used for detail, but luminosity seems derived from the 4mm lens: when I covered the wider lens with my finger, the telephoto image blew out with brightness. Because the 4mm lens captures lower levels of light better, this may be used to ensure pictures aren’t muddy in dark areas. For 2x macro shots and photos closer than about a foot, where the 6.6mm lens can’t focus, the 4mm lens is used exclusively. For 2x in low-light conditions, when a slow shutter speed needs to be used, the 4mm lens is used exclusively. For shots between 1x and 2x, even though Apple discussed intelligent interpolation, in my testing it’s always a digital zoom from the wide-angle lens. Taken with iPhone 7 Plus at 2x, which used the 4mm wide-angle lens with digital zoom. Click to enlarge. 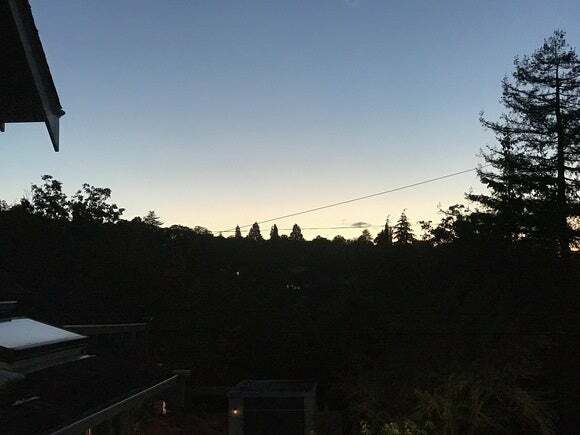 This was easy to see in a twilight shot I took in which I was able to get the Camera app to switch to the telephoto by taking a few shots in succession. The 2x digital zoom photo above taken by the wide-angle lens shot at what it reported as 1/15th of a second shutter speed and an effective ISO of 40. The 2x optical telephoto shot a moment later (seen below) was ostensibly faster, at 1/60th of a second, but pushed way up to an ISO of 800 or 640 on different shots. Taken with iPhone 7 Plus at 2x, which used the 6.6mm telephoto lens with optical zoom. Click to enlarge. At that equivalent “film speed,” you typically get a lot of speckling and noise. But because I was shooting at a transition, the bottom half is effectively black, and only the top has tonal values. It’s arguably slightly better because of less banding in the twilight gradation. If I had shot RAW, I could have cleaned it up very nicely. I’ve found some interesting edge cases where you can watch the iPhone 7 Plus snap between the two lenses as you tap to change focus above 1x mode. This is most noticeable when you’re closer that a foot away with an object in the foreground. 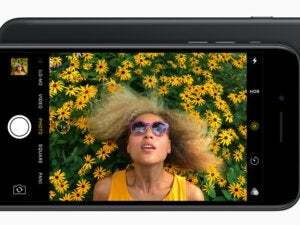 Tap to focus on the near person or object, and the wide-angle often takes over, using 2x digital zoom. Tap on the background object, and you’ll see a jump as the primary image previewed leaps to the telephoto lens. While I haven’t mentioned the 2x to 10x digital zoom yet, it’s actually quite good relative to the single-lens alternatives in the iPhone 7 or previous iPads and iPhones. Because 5x is only a 2 1/2 magnification of the telephoto lens in good lighting, and the wide-angle contributes information, you get something that looks substantially less artificial. How can you take the best photos with an iPhone 7 Plus? Plan wisely, so you can work with instead of against the camera systems. Shoot at 1x instead of digital 2x. In all the conditions noted above in which you know a 2x digital zoom will be used instead of the 2x optical, you can opt to set magnification to 1x and then crop later. You won’t get a worse result, and the details will be sharper. You can also use third-party software to extrapolate a higher-resolution image, if you need it for some purpose, and control that effect. Tap for exposure and focus, and even to lock it. 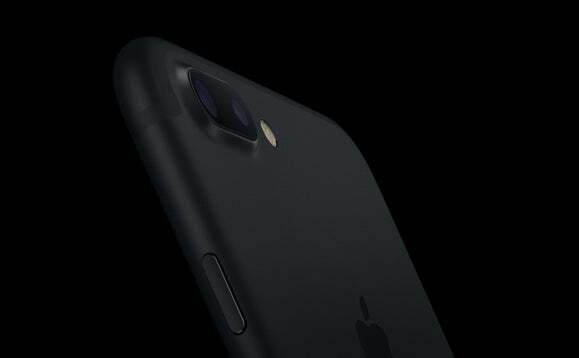 You know that tapping on a spot in the Camera app uses the contents of that square to re-weight the image’s exposure and re-focus. That’s even more critical with the 7 Plus, because so much of how it chooses its lens combination has to do with lighting conditions (inside and out) and near/far focus. If possible, hold down to perform an auto-lock on exposure and focus, and iOS won’t re-evaluate how it takes the picture in the exceedingly brief interval after you tap the shutter button (or press the volume-down button). Get ProCamera, which lets you pick a lens and shoot and export RAW. ProCamera 10 ($5) is the first app out that has the full combination of allowing you to pick a lens and capture RAW data, which you can edit and export in a mixed-down file format like TIFF or JPEG, or export the unedited RAW. 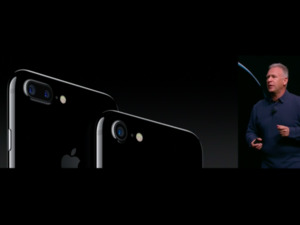 It also lets you manually adjust exposure and other settings. If you want to take immediate advantage of picking which lens to use, spend the $5. Other apps will be out in the near future, too. For macro shots, get closer. Because the 6.6mm lens can’t focus within a foot or so, instead of tapping to take a 2x shot from farther away, which is just a crop of a 2x digital zoom via the wide-angle lens, just move closer with 1x selected in Camera. When that’s not possible, use the 1x to not-quite–2x range, and you’ll still get a digital enlargement, but it will be better than pure 2x. Or, shoot at 1x from farther away and crop later. In looking at images at 100 percent, seeing the pixels, you can definitely understand why Apple make this the default choice. An image with slight digital artifacts because of digital zoom that seems a little blurry but has a great color balance will be preferable to a blurry shot or one that’s speckled with noise or too dark to make out details. It would be great if the Camera app gave you a little more help while you’re shooting. The one thing the Camera app could do is (even optionally) provide better signals about whether a shot is going to fit well within the parameters Apple uses to determine what a “good” photo is. When you tap the 2x button, it could perhaps light that button up in red if conditions will result in a wide-angle shot with digital zoom, Or, the Camera app could even offer some icons or text that provided advice, like “back up (look behind you first)” or “hold more still.” It already has this kind of text in the Pano mode, so it’s not that unusual. Apple made a lot of hay about the image signal processor (ISP), a bit of hardware that manages all the hardware camera functions. From what I can tell and what I hope, it should be able to tweak the ISP’s choices over time. The 7 Plus was certainly tested extensively in the lab and quietly in the field, but the number of photos taken by it and released into public forums—social media, Flickr, and the like—will be millions of times larger within days. Apple should be able to learn and adapt the choices it’s making out of the gate.